This Sunday we have an interesting NFC South match-up between a team who has been stellar this season with an 11-1 record, and another who has failed to live up to expectations with a 3-9 record. This is the Atlanta Falcons up against the Carolina Panthers, and while the Panthers have played well at times this season and have lost some close games, 3-9 is not a record that leaves fans with a sense of confidence for the upcoming years with the team. Knocking off a team with the best record in the NFL would definitely help though, and that’s the task at hand this Sunday in Carolina. The Panthers lost their last game against the heavy hearted Kansas City Chiefs last weekend, while the Falcons have won three games straight to get to where they are at right now. Kickoff here will be at 1:00pm EST in Carolina. Like the Falcons or the Panthers? This bookmaker is our favorite place to bet! 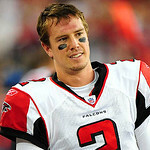 The Falcons are going to continue to rely on that high flying offense with Matt Ryan, Julio Jones, and Roddy White. They’ve also gotten solid production from running backs Michael Turner and Jacquizz Rodgers as well so far this year. Rodgers is really coming on, and I think that they could continue to throw it to him out of the back field as well in this game. The Panthers defense has struggled quite a bit, and that could lead to a big game for many of the Falcons’ offensive threats, which is a great sign for Fantasy Football players out there as this is the first week of playoffs! 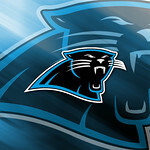 Can the Panther Defense Step Up? The Panthers are relying heavily on quarterback Cam Newton who had a slow start to the 2012-2013 season, but has since gotten things rolling a bit. He’s one of the most athletic and exciting quarterbacks in the NFL, and they are really going to need him to keep rolling along for them to have success. The Falcons D has been solid, but Newton should still have a solid day since they use him in so many aspects of their offense. The defense is the real issue for Carolina, and they are going to need the D to step up if they want to have any shot against Atlanta. The Falcons are -3.5 favorites over the Panthers in this game. It’s tough to imagine the Carolina Panthers beating the 11-1 Falcons here, but I’ve seen crazier things happen this season. With that being said, the Falcons offense is just too powerful in my opinion, when you have an offense with this type of talent against a defense who has struggled this bad then it simply spells trouble for one side. The Falcons defense is talented enough to contain Cam Newton to some extent, and while I think that the Panthers are going to put some points on the board, I just think that Matt Ryan and company are going to outdo Carolina. I’m rolling with the Falcons to win it by a touchdown and push their record to 12-1 on the season. Bet on the Falcons -3.5!